Northland College’s agricultural focus is helping to turn the once struggling secondary school into a success story, says the school’s Commissioner, Chris Saunders. Absenteeism was an issue at the Kaikohe school, but truancy has halved since several initiatives were put in place to help prepare students for careers in agriculture, with Lincoln University contributing to Northland College’s curriculum and the operations of its commercial dairy farm. “I think a big part of the success we’re seeing now is that we’re using the farm to offer students practical, primary industries-based training,” Mr Saunders says. The University offers curriculum support that allows students to undertake on-farm courses, which will lead on to Lincoln qualifications. “The farm is a significant asset for a small secondary school to own, so it’s very helpful to have Lincoln playing an active and supportive role with the management of it.” . .
At first glance, the similarities between a Norwegian clothing company and a Gimmerburn farm might appear remote. But with both enterprises sharing a strong focus on quality and a passion for wool – along with histories spanning more than a century – there were definite synergies. Three executives from high-performance wool clothing brand Devold, including chief executive Cathrine Stange, recently visited the Paterson family’s property Armidale in the Maniototo. . .
‘‘It’s not your grandfather’s merino”. Addressing a group of farmers in the Paterson family’s woolshed at Gimmerburn, Global Merino founder and chief executive Jose Fernandez outlined his business. founded by Mr Fernandez in 2007. It sold its first product in 2009. . .
Peter Munro is about to retire after spending most of his working life in the dairy industry. The professor, Fonterra chair in food materials science at Riddet Institute, started his life on the family’s dairy farm in Northland and has gone on to develop new dairy products for New Zealand. Throughout a long career Munro has worked on milk protein manufacturing and its use, whey proteins and other products. Fonterra often gets stick for exporting commodities, but at least 30 per cent of its products is sold in a specialised form, usually for food ingredients, says Munro. . .
A recent conversation with a sheep farming mate of mine about the current plight of the dairy industry resulted in me reflecting positively on the bad old days of sheep farming in the 1980s. My friend was somewhat surprised when I declared, off the top of my head, that even during the lows of Rogernomics we never ran our farm at a loss. This is in stark contrast to some dairy farmers who this season will run at a $300,000-plus loss per annum. So I went back through some old annual accounts from 30 years ago to check I wasn’t looking back at farming through rose-tinted spectacles. Those annual accounts for the year ended 30 June, 1986 made for very interesting, if somewhat sobering, reading. . . It seems that we have lost sight of what a good clover-based pasture looks like and have forgotten the skills to grow and manage it, says Doug Edmeades. 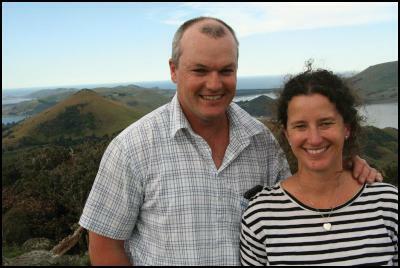 A two-day symposium on hill country was held recently in Rotorua. It was well attended by 300 farmers, consultants and agricultural scientists. Clearly, there is a thirst for innovation, new technologies and knowledge in this sector. The output of the symposium, and hence, one hopes, the answers to these questions, is to be formally captured in a “position paper”. More on that after the paper comes out. . . Farmers are fairly enthusiastic about using the latest digital technologies to run their businesses, but there is still room for improvement in the agricultural software area, preliminary Lincoln University research suggests. Lincoln student Jamie Evans recently undertook an exploratory study that involved surveying some of Canterbury’s farmers about the types of technologies they used and how well they thought they were being served by the programmes. “With this study, we wanted to identify any issues farmers might have with their software, but the long-term goal is to carry out further research that will help us find solutions and ultimately improve these digital technologies,” says IT lecturer Shirley Gibbs, one of the project supervisors. . . THE big dump has started and, unless substantial rain falls across the Bathurst region, the panic to sell livestock before winter sets in shows no signs of abating. An incredible 20,000 cattle have gone under the hammer at the Central Tablelands Livestock Exchange during the past two weeks. Last week’s sheep sale had a yarding of 20,000 and 19,300 the week before, which also shows how the weather is impacting on the rural community. . .